“There are race tracks that you can make artificially wet and it would be easy to have such systems at a number of tracks. Why not let it ‘rain’ in the middle of a race? For 20 minutes or the last ten laps? Maybe with a two-minute warning ahead of it. Suspense would be guaranteed and it would be the same for all,” Bernie told the official F1 website. I hope I speak for all of us when I say that wet races almost always guarantee exciting races. This is where Bernie’s idea stems from. We need to look at the factors of these exciting races and reproduce them to deliver many exciting races – a full calendar of mayhem. So we will play God and make it rain, just for a little while. That sounds strange. If we are accepting to alter the environment in which we race in then why don’t they race in a dark dome whenever a country ‘bids’ for a night race. Teams are complaining about fitting the Bahrain GP in the middle of August for several reasons. 1: it will cut into F1’s summer break where factories usually shut down for the three week period. 2: it might just be Bahrain’s hottest time of the year (something around 50 degrees celcius). I know how we could get rid of the heat: let’s go all out and block out the sun – bring back that dome and shield away the heat. “People will say it is artificial but it would be the same for everybody. 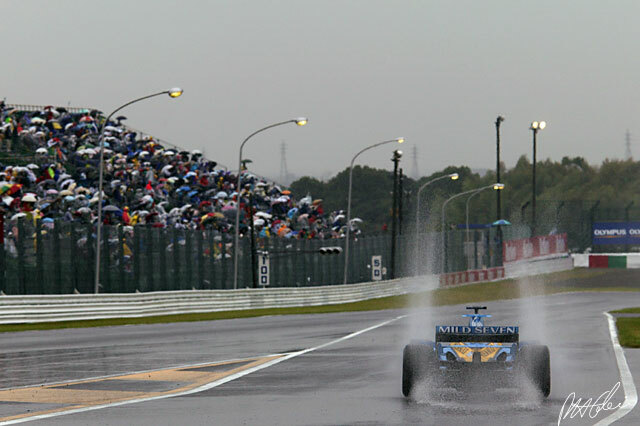 Many of the best races in the past few years have been when it has rained,” said Johnny Herbert, Former GP winner. It definitely does sound too artificial. It was incredibly exciting to read weather forecasts for that weekend letting us know whether or not it would rain. Even on the day: team managers’ hands popping out from under the pit box to check for rain drops and then the TV would quickly switch to the weather radar. Now what? We sit there expecting rain at some point for 20 minutes? We wait desperately through the first 30 laps of sun (which might be super boring) for rain to come with ten laps left? It won’t solve all our boring races. Who is to say the first half of the race is incredibly lacking excitement? We spray the track all hour? No. I don’t mind giving it a shot. Do you? Turning on a sprinkler mid-race would be far too gimmicky. 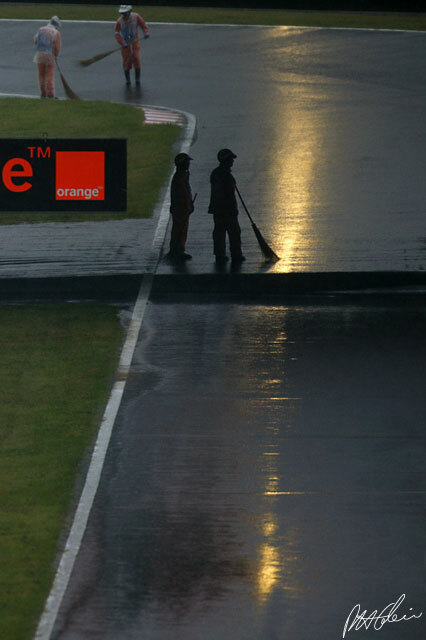 A much better idea would be to simply spray the entire track the night before and let it dry for the race. That way we get rid of the ‘clean’ and ‘dirty’ lines, allowing cars to overtake more easily. I remember a Suzuka (05?) race where it rained the night before and the next day we saw some great overtaking. I think the rain played a big hand there because Suzuka isn’t one of the easier tracks in terms of overtaking.